Theophilus G. Steward, African Methodist Episcopal minister, U.S. Army chaplain, and historian, was born 17 April 1843 in Bridgeton, New Jersey. Publicly educated, he entered the ministry in 1864 and immediately sought to “go South.” His wishes were granted in May 1865 and he departed for South Carolina where he married Elizabeth Gadsen after a short courtship. Under the direction of Bishop Daniel Payne, Steward assisted in the establishment of AME churches in South Carolina and Georgia for the next seven years. Between 1882 and 1891, Steward performed missionary work in Haiti and served as a pastor in Delaware, New York, and Pennsylvania. In 1891, Reverend Steward joined the U.S. Army, becoming one of what remained at the time a very small number of African American regular officers. For some sixteen years, the entirety of his military service, Steward was a member of the 25th Infantry Regiment. Entrusted not only with the soldier’s spiritual well-being, chaplains in the “colored” regiments of the time were expected to facilitate their education. These responsibilities Steward discharged faithfully at several posts in the American West and in the Philippines, although he missed the regiment’s deployment to Cuba while on recruiting duty. In 1893 his wife Elizabeth died; he married the widow Doctor Susan McKinney three years later in 1896. He was not present for the 1906 debacle at Brownsville, Texas, but was called on to testify in the long investigations that followed. 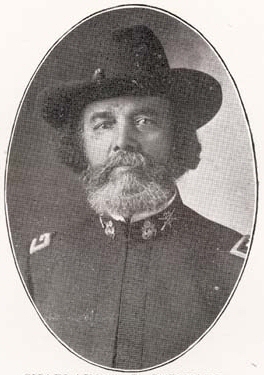 Chaplain Captain Steward retired from the Army in 1907 at age 64. After touring Europe, he and his wife settled in Ohio where Reverend Steward became a professor of history at Wilberforce University. Steward died in 1925, survived by a large family and a noteworthy literary legacy that included religious works, scholarly papers, histories, a novel, and an autobiography. Although confronted with discrimination throughout his life, Steward was anything but bitter. His writings, reflecting deep religious convictions and a consistent optimism, remain a valuable resource for historians of African American culture, the buffalo soldiers, and the African Methodist Episcopal Church. Frank N Schubert, On the Trail of the Buffalo Soldiers II: New and Revised Biographies of African Americans in the U.S. Army, 1866-1917 (Lanham, Maryland: Scarecrow Press, 2004); Steward, Fifty Years in the Gospel Ministry (electronic edition hosted by the University of North Carolina at Chapel Hill, 2001 <http://docsouth.unc.edu/church/steward />); Steward, The Colored Regulars in the United States Army (New York, New York: Arno Press, 1969).